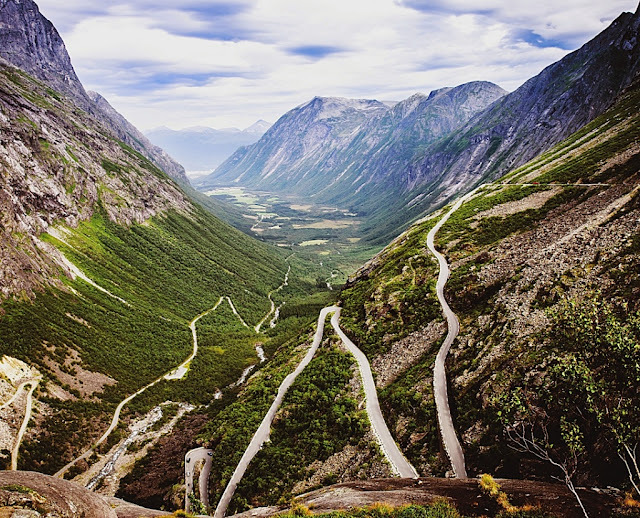 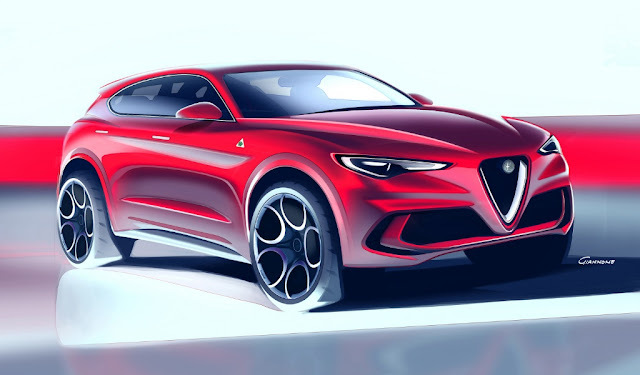 Named after perhaps Italy's most famous 'drivers road', the Stelvio Pass, Alfa Romeo revealed its new STELVIO SUV at the Los Angeles Auto Show last week. Designed at Alfa Romeo Centro Stile and built alongside the new Giulia at the Cassino plant, the Stelvio comes in three models - Stelvio and Stelvio Ti with the turbocharged 2.0L engine from the Giulia; and the Quadrifoglio, powered by a turbocharged 3.0L V6. 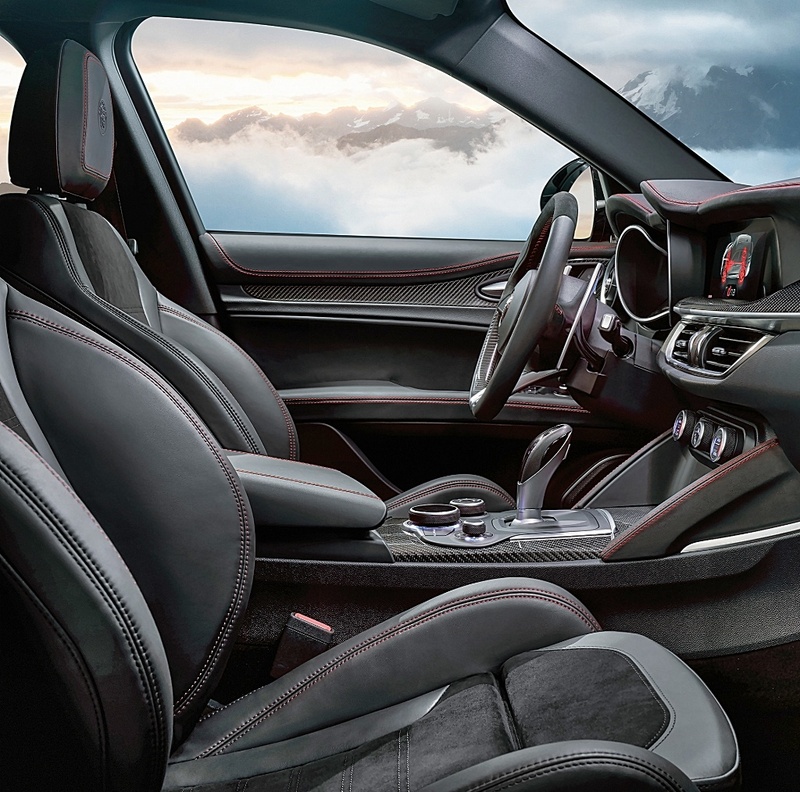 The interior follows the same themes as the Giulia sedan, and the claims made for its performance and handling sounds like Alfa Romeo has created a direct challenger for Jaguar's F-PACE. More details in a later post, but suffice to say the Stelvio fairly bristles with sports performance, and high tech aids, and is built on the same architecture as the acclaimed Giulia sedan.